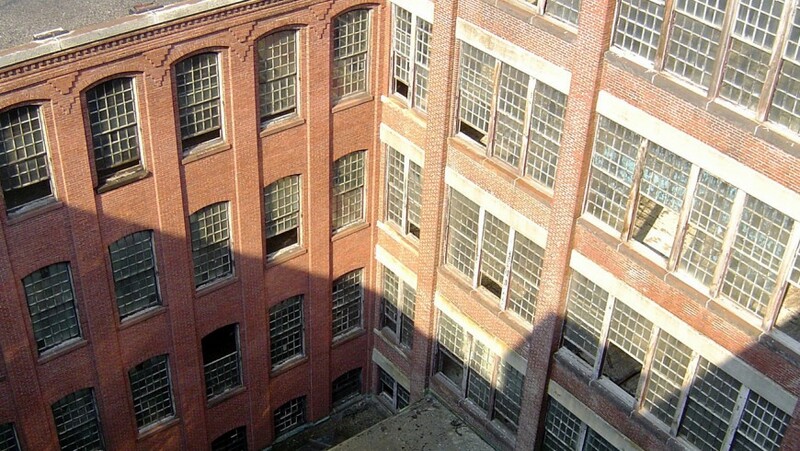 The Brown and Sharpe Manufacturing Company made machine tools on this site between 1865 and 1947, building dozens of buildings at various times. The Guerra family has been renovating the buildings since buying the complex in 1967. Currently Foundry office tenants employ more than 1,700 workers in a wide variety of businesses. With this first residential element, the Foundry complex is a national model for adaptive mixed use in a historic setting. 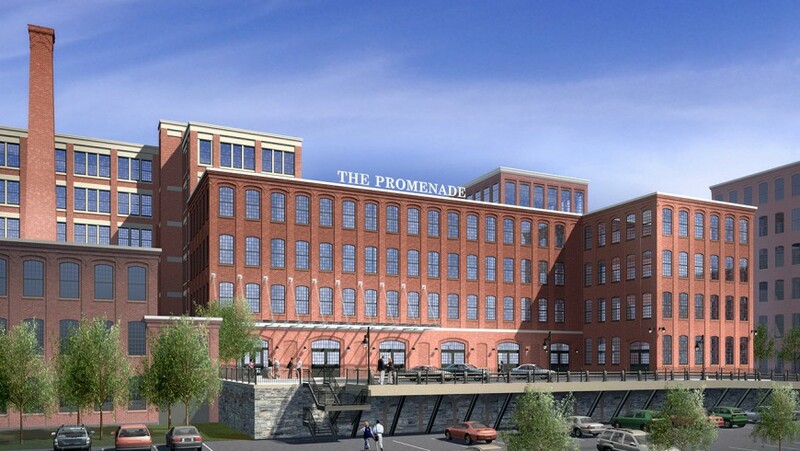 The Promenade is the Foundry’s largest project to date. 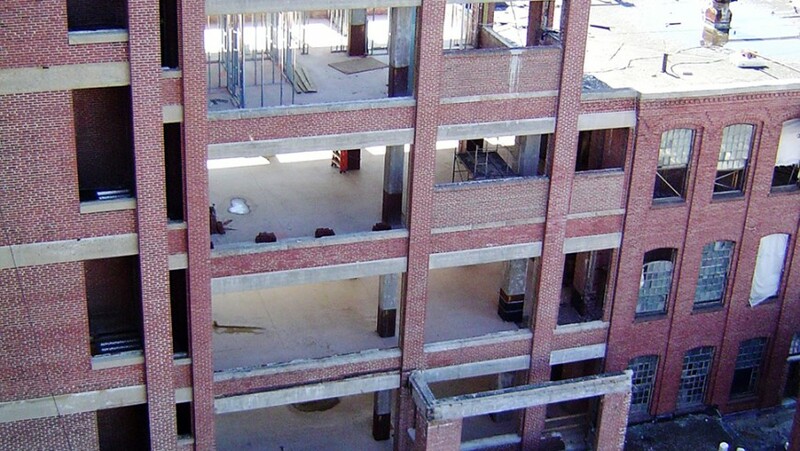 The 220 apartments created by the redevelopment include studio, one, and two bedroom apartments with exposed brick walls, thermally glazed 8-foot-high windows, granite kitchen countertops, ceilings as high as 17 feet and panoramic views of Providence. 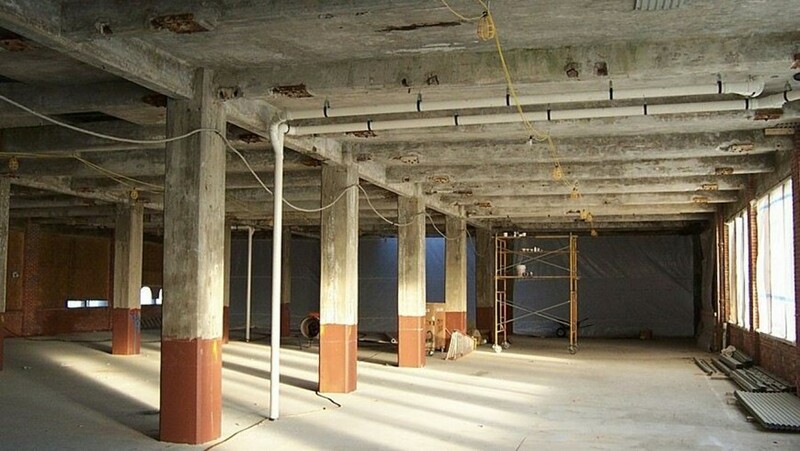 Amenities include an indoor swimming pool with a hot tub and a retractable roof, a large fitness center, a media room with projection screen, an events room for residents, a business center with fax, copier and internet connection, two enclosed loading docks and a freight elevator. The project is certified with the National Park Service as a Historic Renovation. Sale of the historic tax credits allowed its development as a rental project rather than condominiums. Meredith and Grew and Mr. St, John were retained as the Foundry’s Development Manager for the project. As the project leader Mr. St. John coordinated the efforts of Meredith and Grew’s Development Services Department to establish the project pro forma and arrange the sale of historic tax credits. Mr. St. John also worked with Meredith and Grew’s Capital Markets department to arrange both construction and permanent financing. Mr. St. John coordinated the architect and contractor selection processes, negotiating all vendor contracts. 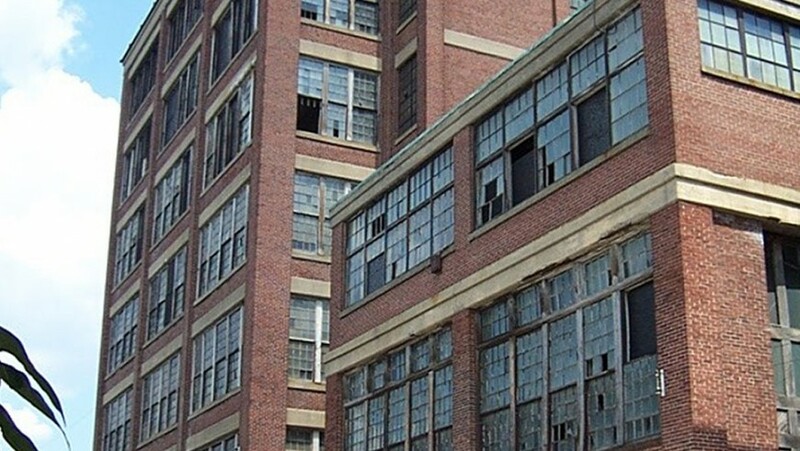 He assisted the Foundry in obtaining National Park Service Historic Certification and a tax abatement treaty with the City of Providence, as well as a long list of required agency permits and approvals. 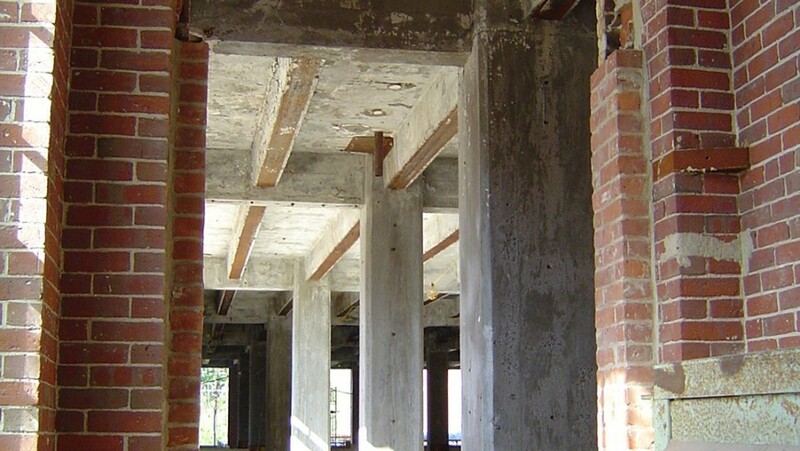 During the design phase Mr. St. John coordinated the efforts of two architectural firms, survey and geotechnical consultants and the construction manager. During construction he oversaw the work, managed the change process and prepared the monthly requisition for the construction lender. Throughout the project he served as the Owner’s Representative, chairing the Owner’s meetings and directing the efforts of the consultants and vendors.